"Cats piloting mecha" means games are now taking inspiration from the NWR staff's browser history. Devolver's 2019 lineup not only includes genocidal bananas, but also cats in robots. Gato Roboto is the company's latest announcement, coming at PAX West and releasing wide in 2019. The game has an art style similar to recent Devolver Switch release Minit, but substitutes the overhead view for a side-scrolling exploration platformer. Fans of dystopic sci-fi should note the star. After launching Layers of Fear: Legacy last year, Bloober Team is moving far into the future for their next project. No word on if Travis will enter the world of an untitled game about waterfowl. For the third time on a Nintendo platform, Travis Touchdown has copped a January release. Travis Strikes Again: No More Heroes has been confirmed for release on January 18, 2019. The news was revealed ahead of the PAX West show in Seattle. Stuffed full of content. Almost like a ballot box. A sequel to one of the last lights of WiiWare is coming to Switch "soon". La Mulana 2 has been announced for release on Switch and other consoles. The reveal was first made by Famitsu, with a simultaneous reveal at Microsoft's indie games event prior to the PAX West expo. No release date was given for the exploration game. Console builds are in progress, but the game just recently launched on Steam after a Kickstarter campaign. The Yacht Club Games team have revealed the release date for the final story expansion for their long-running success story. 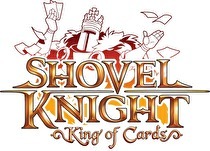 Shovel Knight: King of Cards was revealed by IGN to be releasing on April 9 for both North America and Europe. Alongside it will be a release of Shovel Knight: Showdown, a multiplayer focused expansion with a story mode that features the knights battling in modes including a treasure hunting mode and a fighting game. These prisons aren't as bad as Burnside. Allegedly. The Escapists 2 came out in January, and now its predecessor game has been remanded to Switch Penitentiary. Team17 have confirmed that they are bringing The Escapists, a 2015 co-op escape game, to Switch later this year. Officially known as the Complete Edition, the Switch version will include nine DLC maps, including one that has never been seen on console previously known as Fhurst Peak. The happening bunker is now open. UPDATE: The maintenance has been pushed back to Monday, September 10. Original story follows. 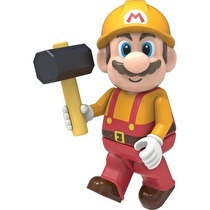 A major maintenance period for all of the Nintendo shopping services will be going on in a few hours. Stick to the wyrmite and it should all be OK.
Nintendo's latest mobile effort debuts on September 27, and they rolled out details about the game in a Direct earlier this evening. The unnamed main character is a Pactbound, a human who formed a pact with a dragon known as Midgarsormr, and is the seventh in line to the throne of his kingdom. The Kingdom of Alberia is protected by Sacred Shards, whose powers are fading. Find out more later tonight. Nintendo's next mobile game will be out in late September, and we'll have more details tonight. 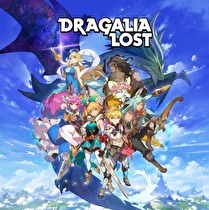 Dragalia Lost, Nintendo's co-developed original title, will release on September 27 in the United States, Japan, Hong Kong, Taiwan, and Macau. Other countries will roll out in the future. More details about the game will be revealed in a Nintendo Direct airing tonight at 11:30 p.m. Eastern time, 8:30 p.m. Pacific. Capcom is going way back for this one. Capcom is remastering another one of their PlayStation 2 titles for Switch, which is so old as to tout analog controls as a new feature. Onimusha Warlords, the original game in Capcom's early-2000's samurai series, will be remade for Switch. The remaster will launch on January 15, 2019 for US$19.99. A new lead on the busy RPG month. The wasteland awaits near the end of the northern summer. 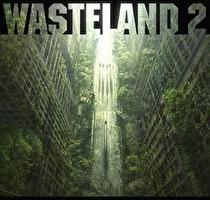 inXile Entertainment have confirmed a September 13 release date for Wasteland 2 on Switch. The post-apocalyptic sequel to the 1988 classic computer RPG can be preloaded now. Into the Breach is out right now, and also a whole mess of other games ranging from TowerFall to Untitled Goose Game were shown. Into the Breach, Samurai Gunn 2, and TowerFall headlined the reveals during Nintendo’s Nindies Showcase Summer 2018. Into the Breach, from the creators of FTL, is available today following its February 2018 PC launch. The big day is September 28, though others may point to December. Nintendo has announced a few refreshes and some new Smashing gear today. A special edition of Super Smash Bros. 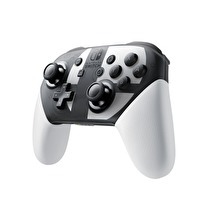 Ultimate has been announced that includes a black and white Switch Pro Controller with the game, as well as a steelbook case containing Smash Ultimate. The special edition has a US$139.99 MSRP, with the Pro Controller launching at $74.99. Both products will be available from December 7. Way up north in Alaska, the hunt is on - but could someone check on Zach? The gang is all here! Except for Krystal... Fay, Miyu, Dash, and maybe Amanda. In a now removed video from Gamescom 2018, IGN has evidently revealed Peppy will be joining Fox on his journey through Atlas. Neither Ubisoft or Nintendo has commented on the reveal and the video was very quickly taken down. 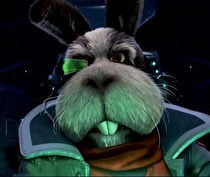 That being said, a quick screen grab of Peppy still gives us a great first look at Fox's stalwart mentor and friend. Two in eight days, and yet there may not be repeats. After the European presentation this week for Gamescom, Nintendo of America is throwing a pre-PAX party. NoA have announced a Nindies Showcase video will air on Tuesday, August 28 ahead of the PAX West expo the following weekend. Previous Showcase videos have aired prior to Switch's launch, before PAX West 2017, and alongside the Game Developer's Conference this year. July has become a Nintendo month. July was Nintendo's best month of the year so far in the US NPD Group's sales survey. All data is for the period of July 8 to August 4. In hardware, the Switch was the best selling system of July on both a unit sales and dollar sales basis, with Nintendo reporting their highest hardware unit sales for a July since 2009. This sets a bound for combined Nintendo hardware sales of between approximately 650k (July 2010) and 832k (2009). Arena of Valor's release window is narrowing, and it's added some nice features. The 5v5 multiplayer battle arena game will launch in September, which goes along with the previously announced "Fall" release for the full game. The servers for the game will be global, making it possible to team up with and battle players from all over the world. So you can actually fill in your choices for the final season. The entire Telltale Walking Dead series is going to shamble onto the Switch by the end of the year. Telltale has confirmed that 2012's Season 1 of their famous adventure series will launch on Switch next Tuesday (August 28) with Season Two to follow later this year. 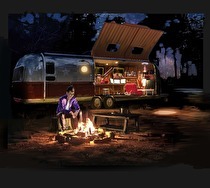 The Season 1 release will also include 2013's 400 Days expansion.